I've always been fascinated with maps. Even as a little kid, I loved getting a new one in my Dad's National Geographic and charting out all the places I might one day visit. Today, mapping is at a whole new level. A couple of days ago, I got an email from a friend. I wanted to let you know that I started up a new blog cyclinginboulder.blogspot.com. My main reason for starting it was to make the Boulder city bike map more integrated with the Google Maps search functionality. I was looking for something that helped me identify how to use the cycle paths to get to a destination as opposed to using the road network to get there. It is still in its early stages (ie., the bike map needs a lot of additions) but I hope to add to it as time goes on. I was wondering if you could spread the word about this project if you ever happen to be speaking with people about bike trails in Boulder? Cycling is a great way to get around town. 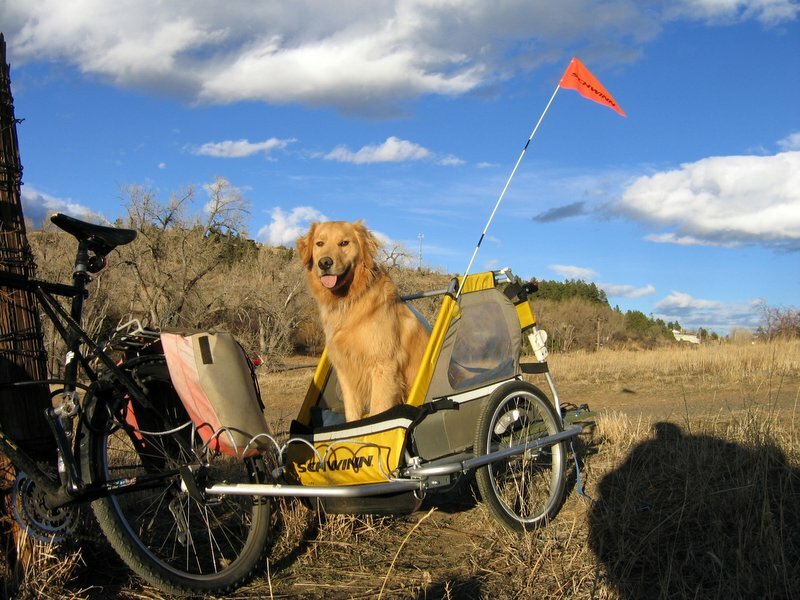 With a set of panniers or a trailer, you can easily use a bike for typical commuting or errands in Boulder. If you're a cyclist, you probably already know that Boulder is one of the best towns in America for cycling. If Alfred and contributors to this project are successful, his custom map could be a very valuable addition to resources for cycling in Boulder (and beyond). It will make it much easier to figure out (in a matter of a few seconds) the best bike routes in Boulder. Please, take a moment to check out Cycling in Boulder. And spread the word! Cool website! I passed it on to some cyclists, I know. The only thing I don't really "get" are people who bike their kids around. It just strikes me as really dangerous, I don't know why. It's probably safer than riding a car, for all I know. We got a site through real estate website design and we are now doing SEO. Are there any good article submission companies that someone can recommend? Please help. Great site! I hope we can eventually get the trails filled in for the entire county. Maybe since the Google Earth guys are on Pearl street they will take notice of this. Any comments about the 30% drop in sales? Actually, the sales drop was 31% for single family homes from a year ago in the City of Boulder. While that might seem large, it's also only a single data point. Remember, we're dealing with small data set in Boulder. Meanwhile, there was actually 9.2% more attached dwelling sold. Again, nothing to react to per se. If you're in the Boulder market, meaningful information is how the market shapes up relative to your specific property characteristics and price range.